Norman, owner of Stadium Auto Parts, purchased the half acre facility from his father in 1971. Stadium is one of the top auto recycling facilities in Colorado. The company has achieved both CAR Certified designation from ARA, as well as being a Gold Seal participant. Stadium is also a member of United Recycler’s Group (URG) and the Premium Recycled Parts (PRP) group. Stadium has received many industry awards including the ARA beautification award, EPA’s Storm Water Award, Colorado Environmental Awards, and others. The company is a long time member of ARA, Colorado Auto Recyclers Association, and other community/business groups. Stadium currently has two locations, employing over 30 employees in Denver, Colorado. Norman is a graduate of the University of Colorado with an accounting degree. 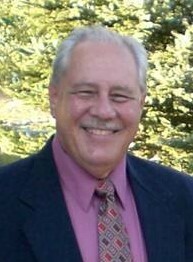 He is past president of both the Colorado Auto Recycler’s Association (CAR) and Automotive Recycler’s Association (ARA). He served on ARA’s Board of Directors and has been chairman of numerous committees at ARA including insurance & membership. Currently he is chairman of ARA’s Government Affairs and State Regulations Committees. He is an active member of the Colorado Recycler’s Associations Board of Directors, Treasurer for many years, and chairman of the Governmental Affairs Committee. Norman and his wife, Lezlie, have been married for nearly 41 years and live in Boulder Colorado. They have four adopted adult children and four grandchildren. Norman is active in the Masonic order and is a 33rd Degree Mason. He and Lezlie enjoy traveling and their close knit family.